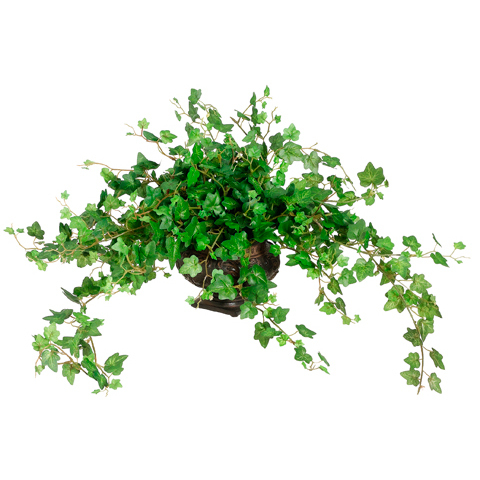 Stunningly beautiful, this 10" mini ivy silk plant with urn will never need a drop of water or pruning. Whether displayed in your living room or in a covered patio setting you'll swear that is resembles a real indoor houseplant. Carefully crafted this artificial houseplant is a true masterpiece and a treasure to behold and touch. And... You'll get to cherish it for a lifetime! Height - 10", Width - 21", Depth - 27"